As we move into fall and winter, we turn to one of our favorite side dishes, brussels sprouts. We love finding new ways to make them pop. We think brussels sprouts are most flavorful when roasted in the oven, and this time we decided to add some spice! If you think you don’t like brussels sprouts, think again! We think these are the best brussels sprouts and will please even the pickiest eaters. 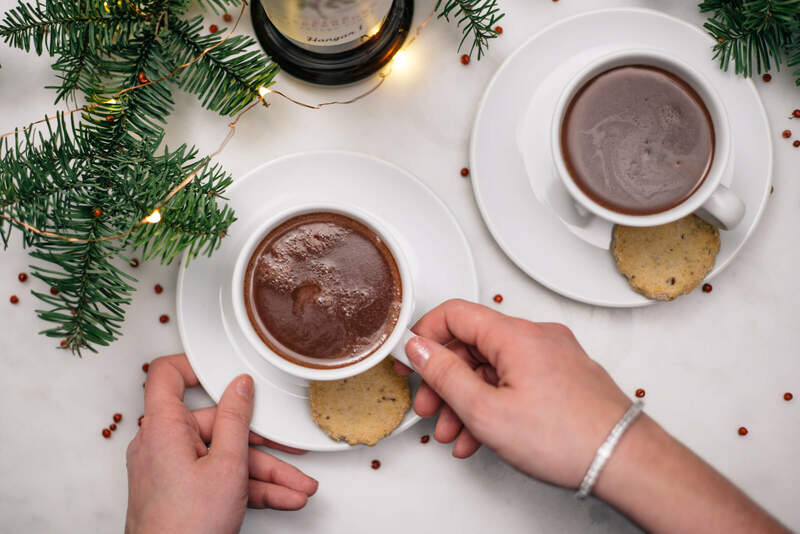 It’s also the perfect addition to your holiday menu. Salt and spice is the key here. For the spice, we used our favorite dried hot Italian peppers. You can find some here and here. We quartered the sprouts, and tossed them in olive oil, salt, and crushed hot pepper and spread them in a single layer on a baking sheet. For the salty goodness, we turned to Prosciutto di Parma. We sliced the Prosciutto di Parma into thin strips, and then sautéed it in our Mauviel pan on the stove top while our sprouts roasted in the oven. 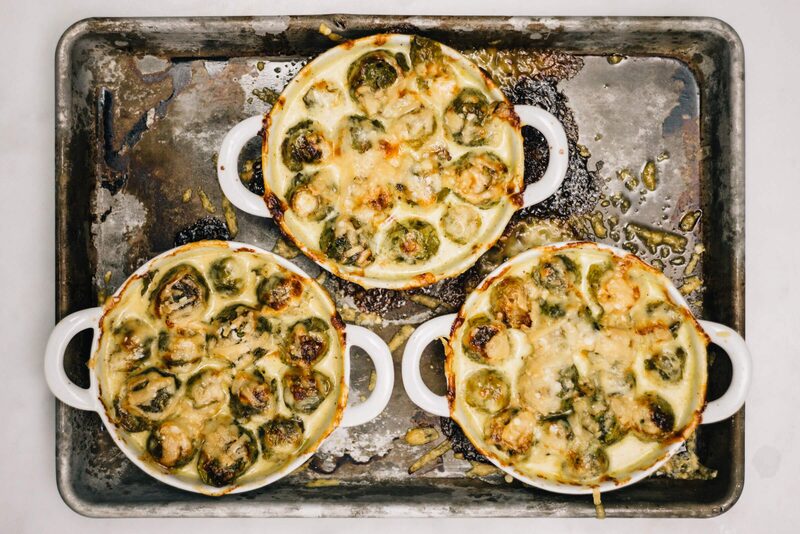 We mixed it everything together in this Staub oval baker, which doubles as a great serving piece! Warm it in the oven for a few minutes prior to serving to help keep your food warm. We served them on these Marin plates by Crate & Barrel. We love their free-form edge and organic shape. Toss brussels sprouts in olive oil, salt, and hot pepper. 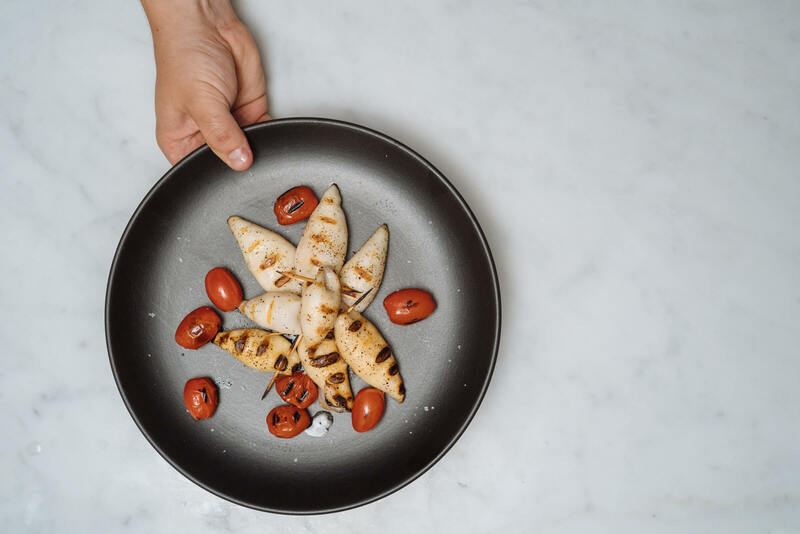 Arrange in a single layer on a sheet pan and roast at 350°F for 20 minutes. You want them roasted with some crisp still, not mushy or burned. Cut the prosciutto pieces into thin strips, about ¼" wide. 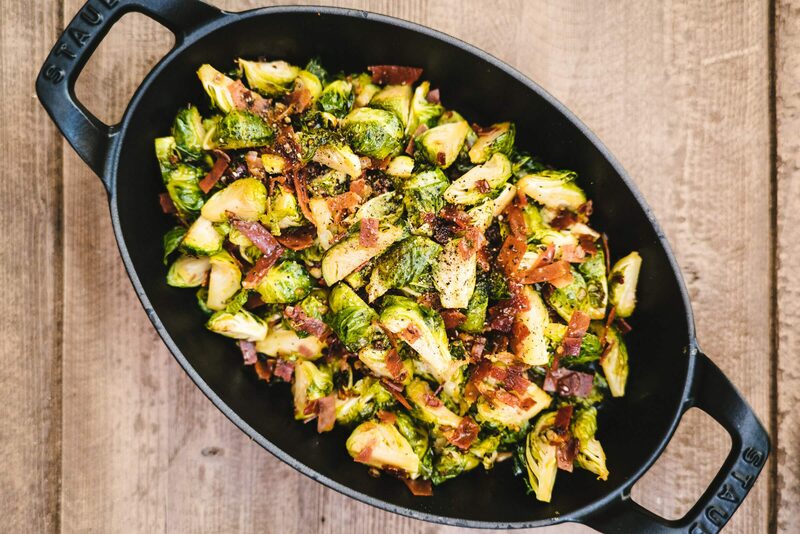 While the sprouts are roasting, sauté the Prosciutto di Parma strips in a skillet until they begin to get crispy. 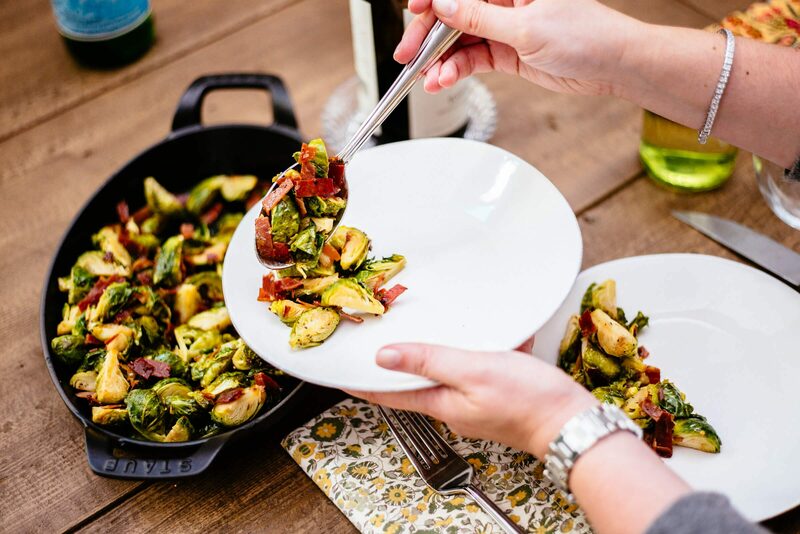 Remove the brussels sprouts, add the crispy Prosciutto di Parma and toss.